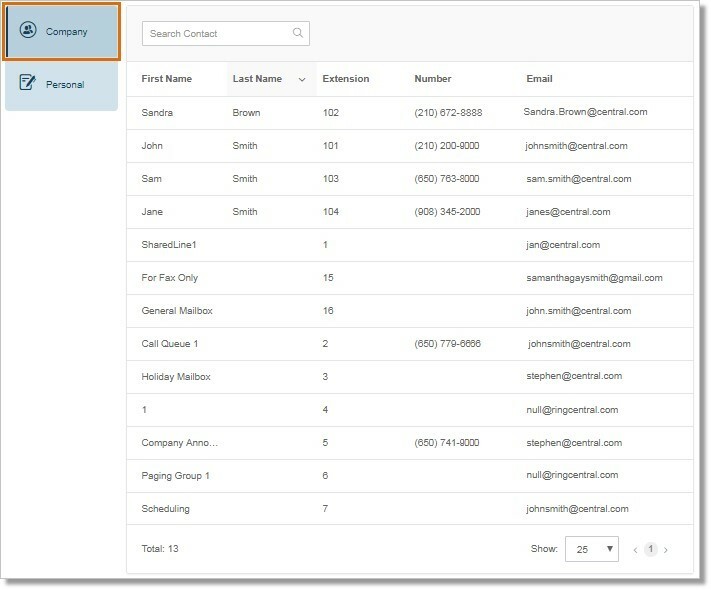 You can click on the Contacts tab to view the contacts you have on your Office@Hand account, both from your Company and Personal contact lists. See below to learn more about Company and Personal Contacts Lists. This article assumes that you are already logged in to your AT&T Office@Hand account, and then click Contacts. If you are an Administrator, you will need to switch to My Extension in order to see the Contacts tab. The Company tab displays all the Users in your Office@Hand system. It would show the following information, First Name, Last Name, Extension, Number, and Email. Only Administrator are allowed to add, edit, or delete a Company Contact (User), see Office@Hand: Adding or Deleting Users via online account. The Personal tab displays your Personal contacts list. It shows the First Name, Last Name, Home Number, Business Number, Fax Number, and Email. 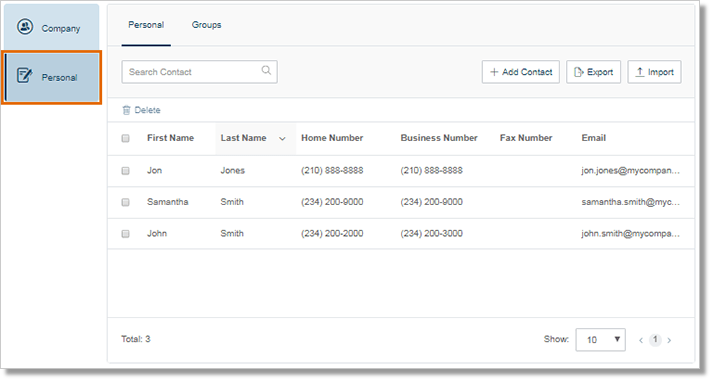 Administrators and Users may add contacts, create groups, import contacts, and export contacts. See the links below to learn more.